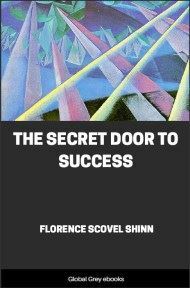 A self help book from the author of 'The Game of Life'. 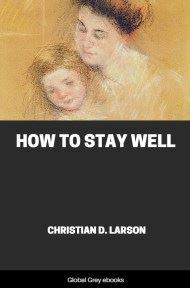 This is basically a book of affirmations about various things like love, sickness, happiness, etc. 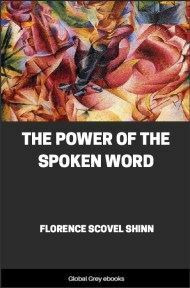 Florence Scovel Shinn believes that words are very powerful and that by using affirmations, you can alter the way things happen in your life. Man's word is his wand filled with magic and power! Jesus Christ emphasized the power of the word; "By thy words thou shalt be justified and by thy words thou shalt be condemned," and "death and life are in power of the tongue." 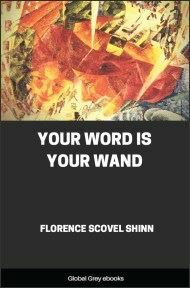 So man has power to change an unhappy condition by waving over it the wand of his word. In the place of sorrow appears joy, in the place of sickness appears health, in the place of lack appears plenty. 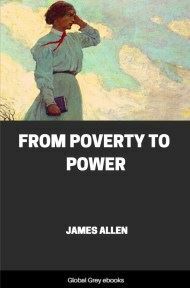 For example: A woman came for a treatment for prosperity. She possessed just two dollars in the world. I said: "We bless the two dollars and know that you have the magic purse of the Spirit; it can never be depleted; as money goes out, immediately money comes in, under grace in perfect ways. I see it always crammed, jammed with money: yellow bills, green bills, pink checks, blue checks, white checks, gold, silver and currency. I see it bulging with abundance!" She replied: "I feel my bag heavy with money," and was so filled with faith that she gave me one of her dollars as a love offering. I did not dare refuse it and see lack for her, as it was important that I hold the picture of plenty. Shortly afterwards she was made a gift of six thousand dollars. Fearless faith and the spoken word brought it to pass. The affirmation of the magic purse is very powerful, as it brings a vivid picture to the mind. It is impossible not to see your purse or wallet filled with money when using the words, "crammed, jammed." The imaging faculty is the creative faculty and it is important to choose words which bring a flash of the fulfillment of the demand. 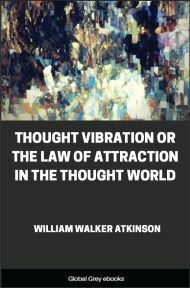 Never force a picture by visualizing; let the Divine Idea flash into your conscious mind; then the student is working according to the Divine Design. Jesus Christ said: "Ye shall know the Truth and the Truth shall make you free." This means that man must know the Truth of every situation which confronts him. There is no Truth in lack or limitation. He waves over it the wand of His Word and the wilderness rejoices and blossoms as the rose. Fear, doubt, anxiety, anger, resentment pull down the cells of the body, shock the nervous system and are the causes of disease and disaster. Power moves but is never moved. When man stands calm and serene, has a good appetite, feels contented and happy when appearances are against him, he has reached mastery. Then he has power to "rebuke the winds and the waves," to control conditions. His word is his wand and he transmutes apparent failure into success. He knows his universal supply is endless and immediate and all his needs manifest instantly on the external. For example, a woman at sea awoke in the morning hearing the fog-horns blowing. A dense fog had settled on the ocean with no apparent signs of clearing. She immediately spoke the word: "There are no fogs in Divine Mind, so let the fog be lifted! I give thanks for the sun!" Soon the sun came out, for man has dominion over "the elements—over all created things." Every man has power to lift the fog in his life. It may be a fog of lack of money, love, happiness or health. Give thanks for the sun!